Although most employment lawsuits don’t end up in court, for those that do the damages can be financially crippling for any business. The median judgment is approximately $200,000 which is in addition to the cost of defense; about 25% of cases result in a judgment of $500,000 or more*. A Hisox study of 446 employment claims reported by small to medium-sized enterprises with fewer than 500 employees showed that 19% of employment charges resulted in defense and settlement costs averaging a total of $125,000. On average, those matters took 275 days to resolve. The average self-insured retention for these charges were about $35,000. Without employment practices liability insurance, most business would have been out of pocket by an extra $90,000. *Employment Practice Liability: Jury Award Trends and Statistics 2013 Edition, Thompson Reuters. More Money and More Problems An allegation of discrimination in your business could hurt more than just your financial resources; it could take a substantial strain on your company’s productivity. There will be time lost from work by the plaintiff and company representatives for meetings with attorneys, depositions and other matters related to the lawsuit. In addition, the plaintiff will likely still be employed by the company, which may make it difficult for your employee and you to stay focused. Once an employee files a claim with the Equal Employment Opportunity Commission or files a civil lawsuit, the charge could potentially be exposed to the public. 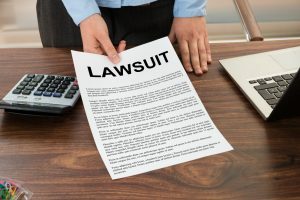 Depending on the details of the claim or the size of the judgment being sought, a claim may significantly affect your business’s reputation. Common Misconceptions My business is like family; no one could possibly discriminate or sue. Although it is nice to believe that your employees care about you and your business just as much as you do, in some instances it may not be the case. If any one of your employees has reason to believe they are being discriminated against or feel like they have experienced unfair or inappropriate treatment, you could find yourself involved in an expensive and time-consuming lawsuit. I own a small company; they can’t possibly try to make money from me. In many cases if a plaintiff is continually discriminated against they will not hesitate to sue. Many plaintiffs will assume most businesses will have insurance to cover the cost. Even if you are insured a lawsuit could be extremely detrimental to your business. The most important takeaway is to remember that lawsuits are costly and could affect any business no matter how big or small. It is imperative for owners to take preventative measures to ensure their businesses are adequately prepared and protected. Emplicity understands that HR Outsourcing should be simple and meaningful. As a Professional Employer Organization (PEO), we strive to be a great partner in supporting your business. If you would like to request more information on how we can assist your needs, please reach out to us at 877-476-2339. We are located in California – Orange County, Los Angeles, and the greater Sacramento and San Francisco area. Orange County, Los Angeles, Sacramento, San Francisco (877) 476-2339 www.emplicity.com NOTICE: Emplicity provides HR advice and recommendations. Information provided by Emplicity is not intended as a substitute for employment law counsel. At no time will Emplicity have the authority or right to make decisions on behalf of their clients.